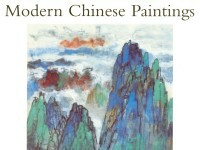 Chen Shaomei was a versatile professional painter active in Peking at a time when conservative literati styles prevailed there. This long composition is painted in the meandering, contemplative mode suited to the handscroll format and its style, with colour washes and heavy ink, is that of Southern Song (1127-1279) academic painting. The colophon appended to it is written by the artist. "A Record of the Small Stone Pool" was written by Liu Zongyuan (AD 773-819).